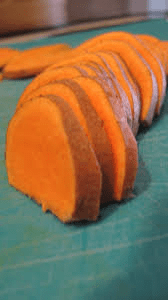 In a buttered a casserole baking dish, arrange yams, banana. Pour juice over all. Sprinkle with salt, pepper. Top with pecans and coconut. Bake, covered, 30 minutes.